Kevin let me quickly around the side of the building, then stopped. I managed not to crash into him. I tried to look calm, cool, unperturbed. I told myself not to laugh, especially not a snorting kind of laugh. "wha...what did"
Charlotte (Charlie to her friends) finds herself falling for a boy who is off-limits. Her best friend is in love with him, and her mother and his father are dating. Still, Charlie can't help but wonder, what would happen if we kissed? When I bought this book maybe two years ago, I thought that it would be a great, cute, and fun read. Little did I know that it wouldn't leave me loving it. The cover is very cute and innocent looking (which I guess would have been an indicator) I never read the reviews on Goodreads, because whenever I read a book, I don't want to be spoiled on what happens, nor do I purely base a book on what someone else said. There have been many books that I loved, in which others didn't. I know when picking out some books, I say that I hear great things, but that doesn't mean I'll love it the same. For me I found that the book was very fast paced, which I do really enjoy, instead of lolling it out. However I found that the story jumps a lot and fast. 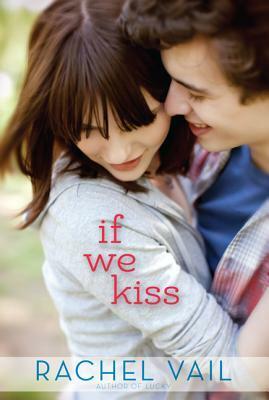 Like within the first two chapters Charlie is already kissed? where does that leave the rest of the book? Obviously I was jumping to conclusions, but I'm glad that it turned out to be an interesting read. I know that Charlie and her friends are in grade 9 but I find that they are a little young, and she seems constantly confused when it comes to situations. I think that by her having certain aspects to make her know as something is really cool, but almost everyone doesn't understand the fact of mismatched socks...nor her humor. When it comes to Charlie and Tess, I love their friendship. How they're always talking about how they need to kiss a guy and fantasize about guys. When it comes to Charlie lying to Tess, I kept thinking "Just tell her and get it over with before it gets worse!!" but of course that generally never happens in books, or movies. All of the lies she kept was definitely taking a toll, and made it clear to the people around Kevin and Charlie know that something was going on between the two. I really like the fact that Charlie's mom was having fun at the party, and even acting like a teenager herself by being in the closet with Kevin's dad "Hanging coats..." I almost died of laughter when that happened. Charlie was just there stunned, and I probably would be too! When the whole "family" went up to the Vermont for winter break, I could already tell that Charlie and Kevin would soon become brother and sister. It was just a matter of time. You would think that if your parents are in a relationship, you wouldn't try to continue yours (and secretly) just outside of the cabin. I know you need to go for what your heart says, but sometimes it just doesn't work the way you want it to. I liked how Charlie would fight for what she thought was right; even though it never really worked out for her. Overall I really liked the book, but I found that there was something missing, that could have made it better. I liked the cute relationship, but I didn't like the obsession Charlie pretty much had for Kevin (Does he, doesn't he??) I think that if Charlie spent a little less time obsessing if Kevin really "Loved" her, then she would have had a better relationship with her friends and family. So that is it for this book review. Please don't forget to follow my page, as well as any other links I have!